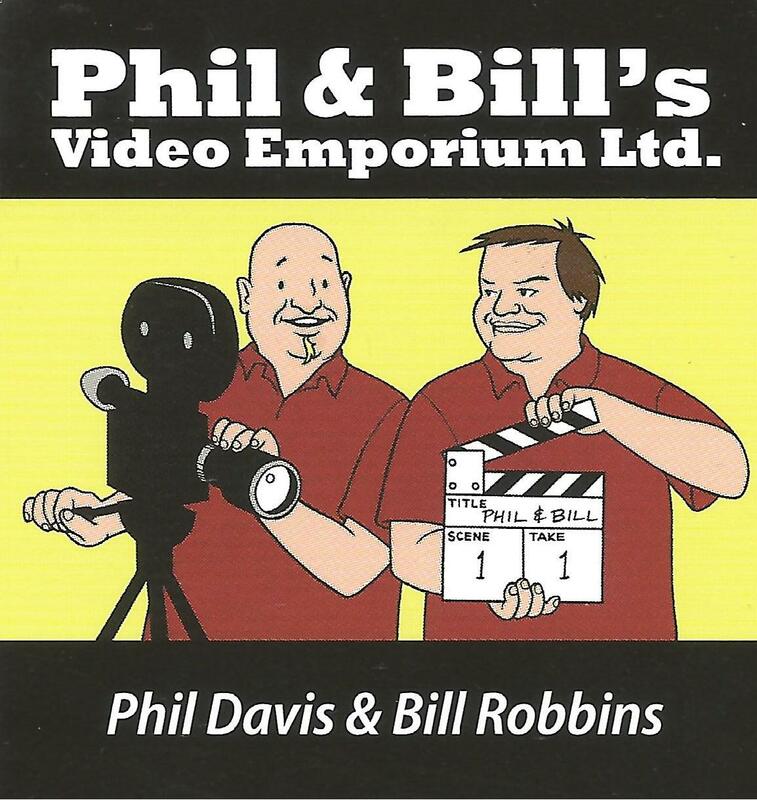 Goodbye Blockbuster, Hello Phil & Bill! 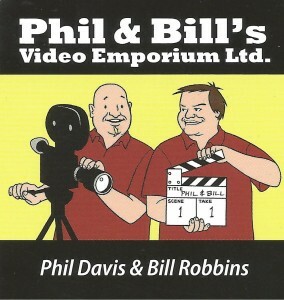 Perhaps the biggest challenge customers face when choosing something to watch at Phil & Bill’s Video Emporium is trying to remember who’s Phil and which one is Bill. They have made it easy by having their caricatures featured on their customer’s membership card. Located across from Zehr’s Market on 16th Street in Owen Sound, Phil and Bill are veterans of the industry having worked for Blockbuster. Blockbuster Canada was forced to close its video stores in 2011 when the US chain went bankrupt. This was unfortunate since many of the Blockbuster locations in Canada, including the two locations in this area, had remained profitable. Bill was the manager for sixteen years at the Blockbuster location on Sunset Strip. Phil worked there for nine years and in 2009 became the manager of the Blockbuster location where their new store is located. They had been discussing for sometime about starting a business, but when Blockbuster closed filling the void was an obvious choice. They had been discussing for sometime about starting a business, but when Blockbuster closed filling the void was an obvious choice. Why do you think you can make a go of it when a huge chain like Blockbuster failed? “Another reason is that DVD and game rentals are a family affair and a tradition. It is very common for entire families to visit our store. They love the experience of browsing and selecting something for the children and the adults. Of course having a huge discussion about which snacks to buy is part of the fun. How difficult was it to get up and running at your location? It was quick, a little more than two months. The two Blockbuster locations were available to lease with all the shelving, racks and fixtures we needed. We ended up in our present location rather than at the Sunset Strip location because that landlord, who lived in Toronto, never responded to our inquiries. The landlord at our present location is local and couldn’t have been more accommodating. We were also able to open quickly because we know the video market inside and out. We had little trouble deciding on what videos and games to purchase, the quantity, etc. It’s what we had been doing for years. We also didn’t have to train many new employees. We hired many of the same people who had worked for us at the Blockbuster stores. Even though we had a pretty good idea what we were doing, it was still brutal opening a new store in under three months. How co-operative were the banks in helping you get started? It was challenging. The local branches wanted to help, but the decision to approve our business loan resided in Toronto and of course they had no idea how well a video store would do in Owen Sound. They only saw Blockbuster and Rogers closing stores in Toronto and thought it was a bad business in which to invest. Our local bank had to champion our application. It took a lot of pushing on our behalf to get head office to agree. Is Owen Sound a good place to start a business? It’s hard to start a business from scratch no matter where you live. It’s even harder if you don’t know the community you wish to serve. We had a real advantage because we know this market and had customers that would follow us to our new location. Someone with no previous experience opening a video store in Owen Sound wouldn’t know for example that our customers have different preferences than the Toronto market. What might be the most popular video rentals in Canada are often different in our market. We purchase based on our customer demand who favour action, documentaries, TV series and horror movies over romance, comedies and mysteries. What’s the difference between being a store manager and owner? The difference is mind boggling! As owners we can respond to change and make decisions immediately rather than wait for permission from head office. It’s more hands-on and although you experience a different kind of work related stress you feel more in control. Any surprises starting your own business? There are over 1,000 independent video stores in Canada Even though we had a pretty good idea what we were doing, it was still brutal opening a new store in under three months. We had to work quickly, searching for point-of-sale and accounting systems and purchase videos and games rather than having them sent to us from head office. Is there a future for independent video stores in Canada? Absolutely, there are over 1,000 independent video stores in Canada and we belong to a nationwide organization called Movie Experts. It’s a sales, marketing and information company which provides independent video store owners with the opportunity to grow our revenues by working together while sharing ideas, information and resources. It provides movie trailers that we show in the store, video guides, marketing materials and an advocacy voice for our industry. Most importantly it’s a buying group that offers us discounts on the videos and games we purchase. What’s the next step for your store? The beginning of the new year is our first anniversary. We’re going to take a serious look at how to grow the business, make it a better customer experience and perhaps even add new products not normally associated with a video store.